We’re currently on holiday in the south west, hence why the blog has been a bit quiet this week. 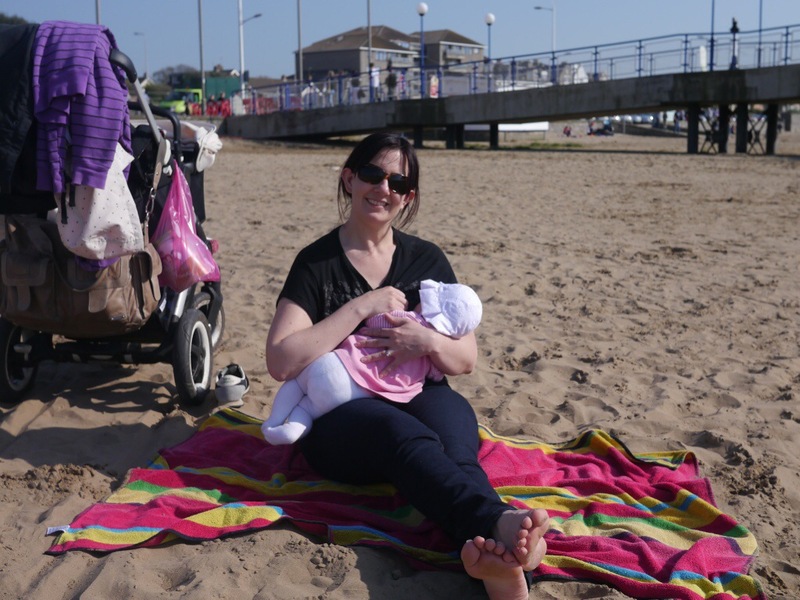 Yesterday we went on a trip to the beach at Weston-Super-Mare which G (4) particularly enjoyed. She’d been hankering after going to the beach pretty much ever since the last time we went and bought her a bucket and spade, which had been used for pretty much every non-beach-related purpose since. Whilst she was happily digging away I sat and fed C, and had my day made by two lovely ladies coming up to say well done to me for breastfeeding in public. I idly wondered if they’d read my blog post urging people to do just that, but figured that was probably unlikely. So sweet! My little one is nursing right now as I type this, LOL.